An old childhood favourite, jazzed up. 1) Melt some butter in a large pot over medium heat. 2) Throw the marshmallows in the pot once the butter starts to melt and stir and stir and stir until the marshmallows are smooth. 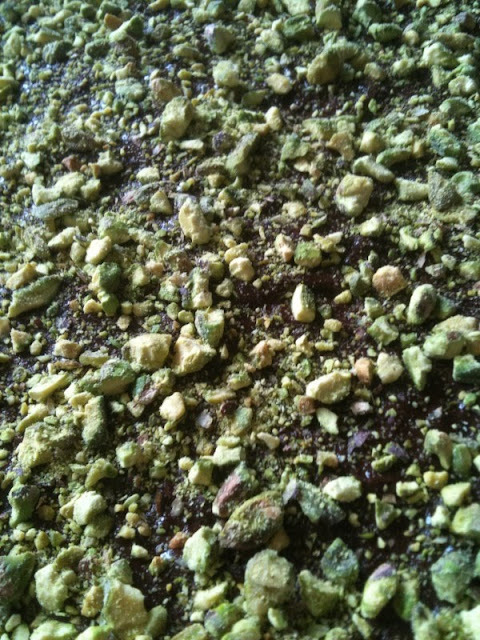 3) Throw in the rice krispies and mix until it looks even. 4) Grease a dish and put the marshmallow mixture in. 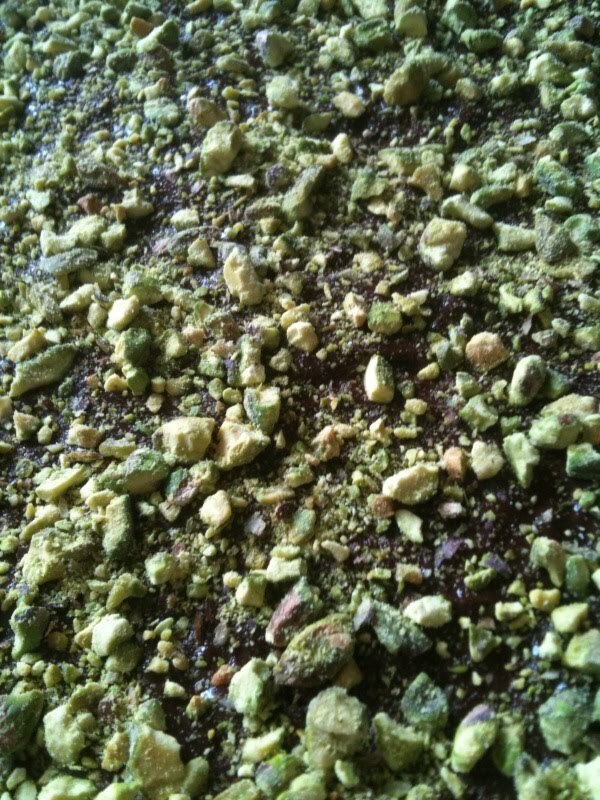 6) Sprinkle the chopped pistachios over the melted chocolate and leave to solidify.